So today we’re getting Resident Evil 7. I might even have installed it by the time you all are reading this depending on the reviews. I haven’t really been following that game at all, or played the demo. So don’t really know what to expect. But the “horror fan” in me hopes this game destroy the world in hype. Or at least that it is just a good Resident Evil game. Whatever that is these days. Resident Evil is kinda of a funny series for me. As a fan I don’t think I know what I want, because of how much the series has developed during each game. I like that they are going back survival horror in this game, but I would be just as happy if the creators of Resident Evil 4 came back and made an all out action comedy. The series goofy parts has always been a guilty pleasure for mine, and I think it suits Resident Evil setting more than the overly serious as it tries to be now and then. A game in the series that it seems that time forgot, but I enjoyed a lot, was Revelation 2. It felt more toned down than the previous entries and had a gameplay that worked really well, especially the enemy design. 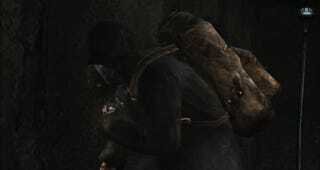 I also liked the atmosphere and the characters, it all felt close to what a great Resident Evil should be. Although it was a game with serious flaws, the episodic structure didn’t work. The story started of decent but went downhill quickly with a terrible ending, and a bunch of bugs at release. Then there was the F2P elements... damn.... if someone told me they hated the game outright because of it I would nod in agreement. It’s just greedy, and doesn’t fit the game. But overall despite all that, I must admit I played that game far more than either Resident Evil 5 & 6. So it did something right despite everything against it. Anyway enough with my rants, and let’s move on to yours. Here are some topics. Are you hyped for Resident Evil 7? Any other horror game coming out this year that you are excited about?